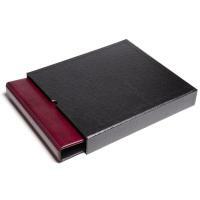 Designed for collectors of 'Liebig' trade cards this is a maroon coloured binder supplied with black slipcase. 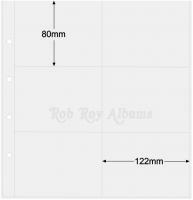 The pages are produced of acid free and chemically safe, high quality polypropylene, clear front and back for viewing both sides. Pockets are SAME SIZE in both horizontal and vertical formats. Both formats are top opening. 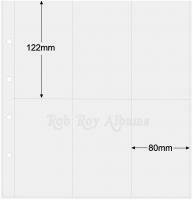 Six 122mm x 80mm pockets per page. 1, Stacklands Close West Kingsdown, Sevenoaks Kent. TN15 6DL.